Curbside Consultation in Endoscopy: 49 Clinical Questions, Second Edition - Question 34: A 68-Year-Old Banker Who Had A Prior Whipple For Periampullary Cancer Had Recurrent Abdominal Pain And Fever For 3 Years. Each Resolved With Antibiotics. Lfts Are Impaired And Ct Scan Shows Dilated Intrahepatic Ducts And A Tubular Structure In The Pancreas. What Should I Do? 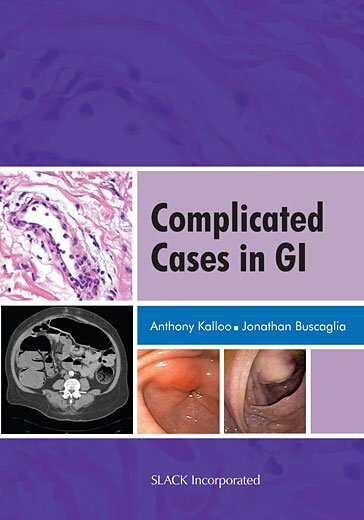 Curbside Consultation in Endoscopy: 49 Clinical Questions, Second Edition - Question 14: A 45-Year-Old Alcoholic Was Admitted With Abdominal Pain, Coffee Ground Emesis, And Mild Anemia. Upper Endoscopy Shows A Few Polypoid Masses In The Gastric Body And Pigmentations In The Antrum. What Should I Do? Curbside Consultation in GI Cancer for the Gastroenterologist: 49 Clinical Questions - Question 20: A 78-Year-Old Woman With Pancreatic Cancer And Severe Pain Is Referred To You For Evaluation. What Is The Role Of Celiac Plexus Neurolysis To Control Pain In These Patients? Curbside Consultation in GI Cancer for the Gastroenterologist: 49 Clinical Questions - Question 14: A 54-Year-Old Woman Has Weight Loss And Back Pain. An Ultrasound Is Suggestive Of A Solid Mass In Her Pancreas. How Should Her Evaluation Best Proceed With Regards To Diagnosis And Staging?